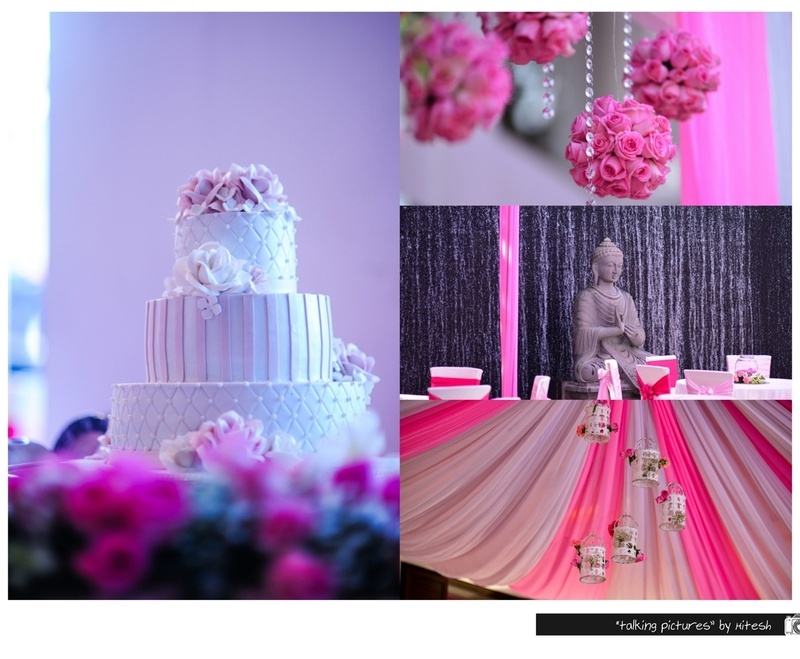 This wedding was all things classy as well as all things fun! 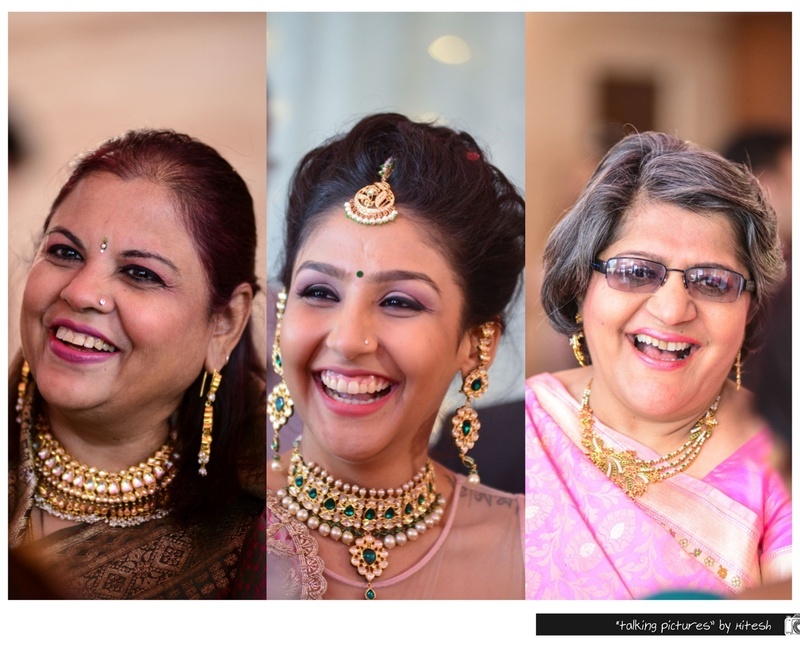 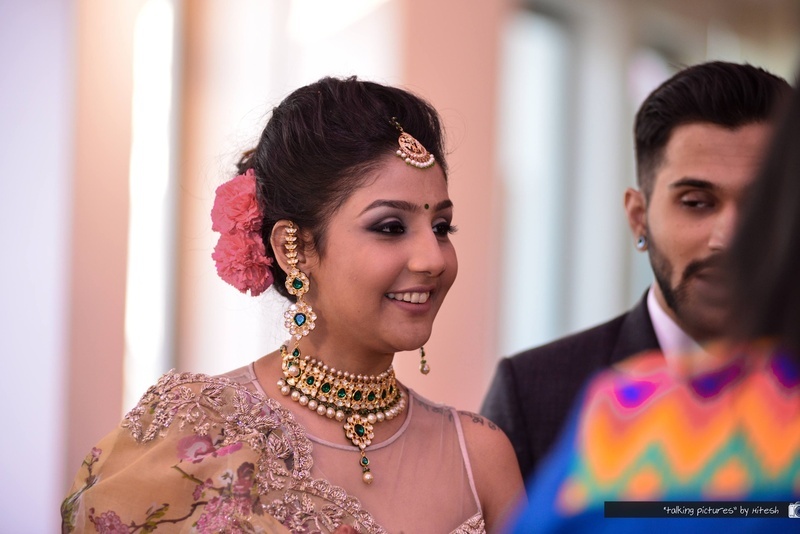 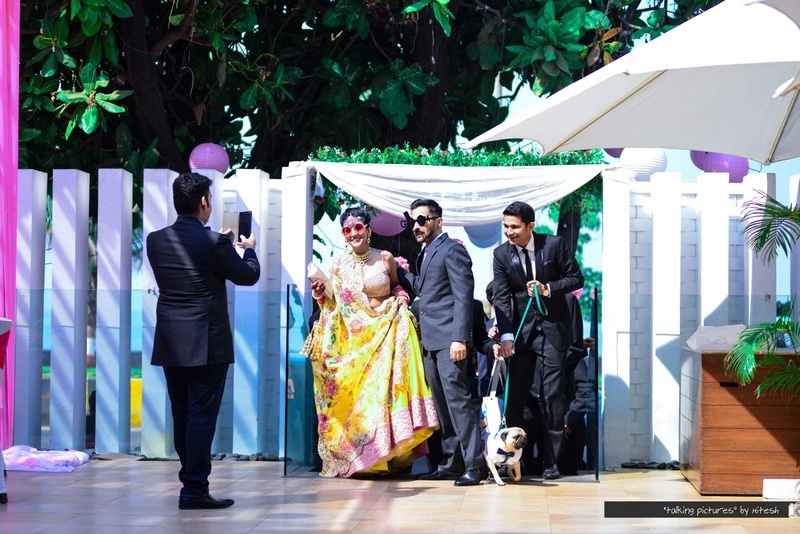 Pallavi and Zaheer's post-wedding party at Blue Sea Banquets, Worli, was all things classy as well as all things fun. 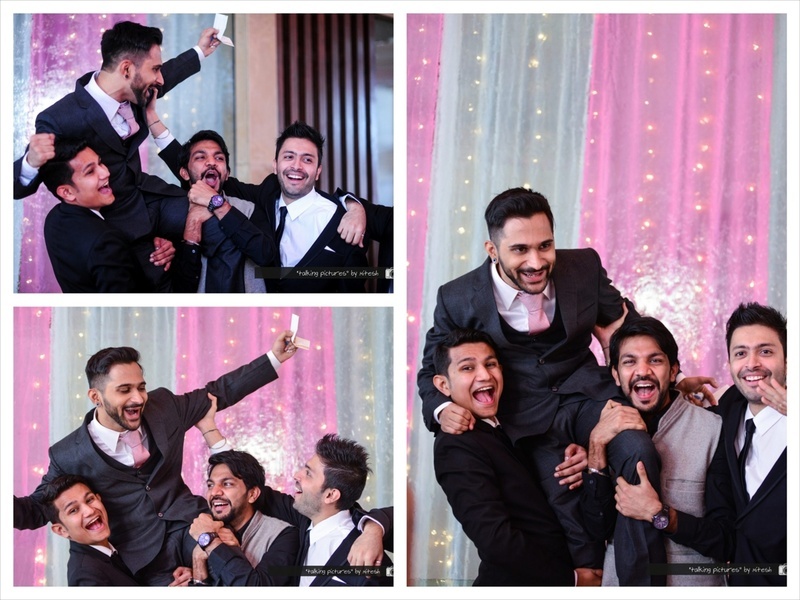 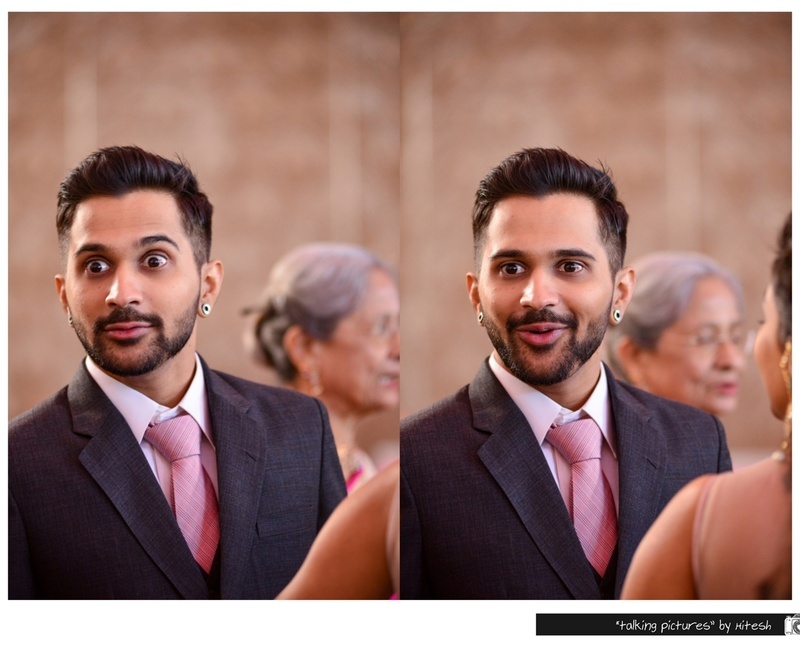 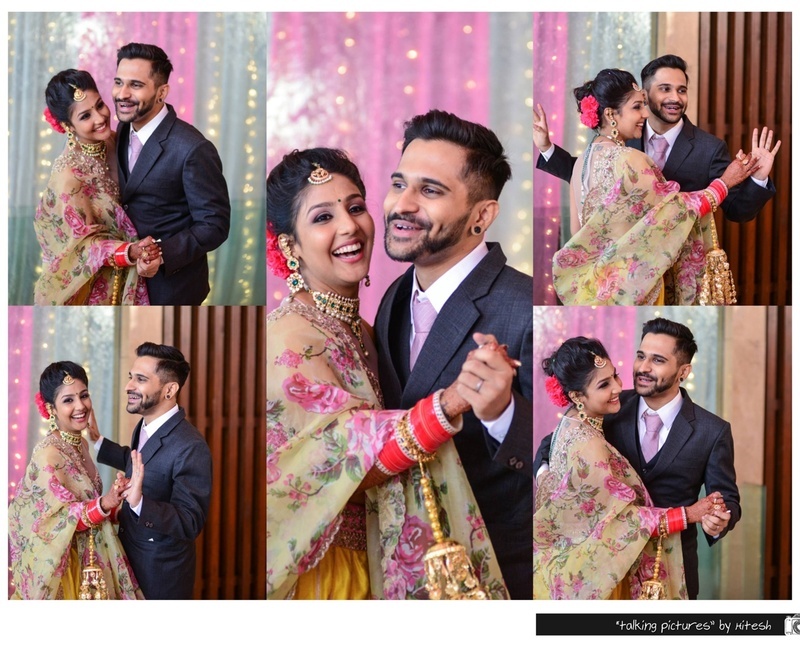 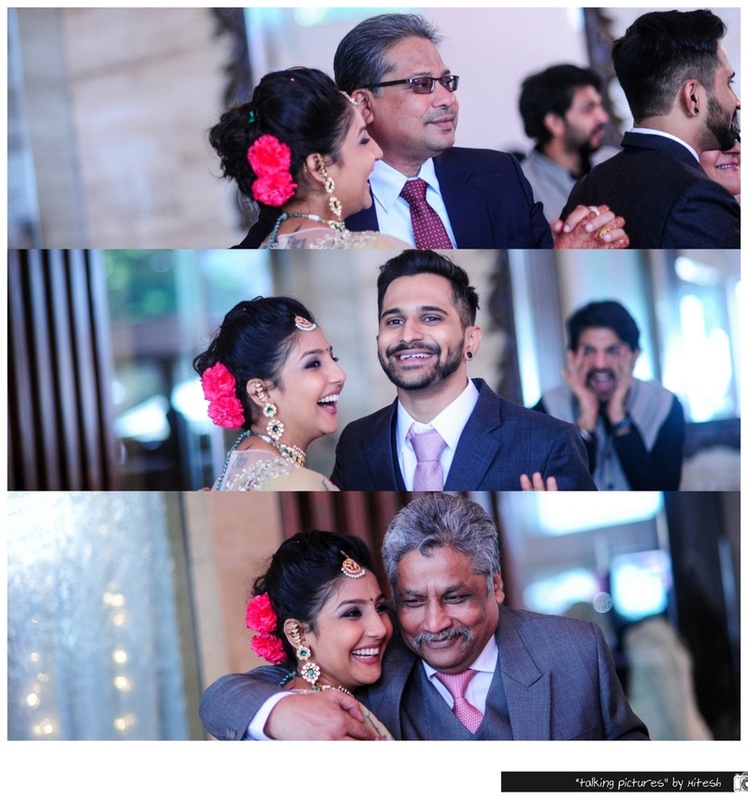 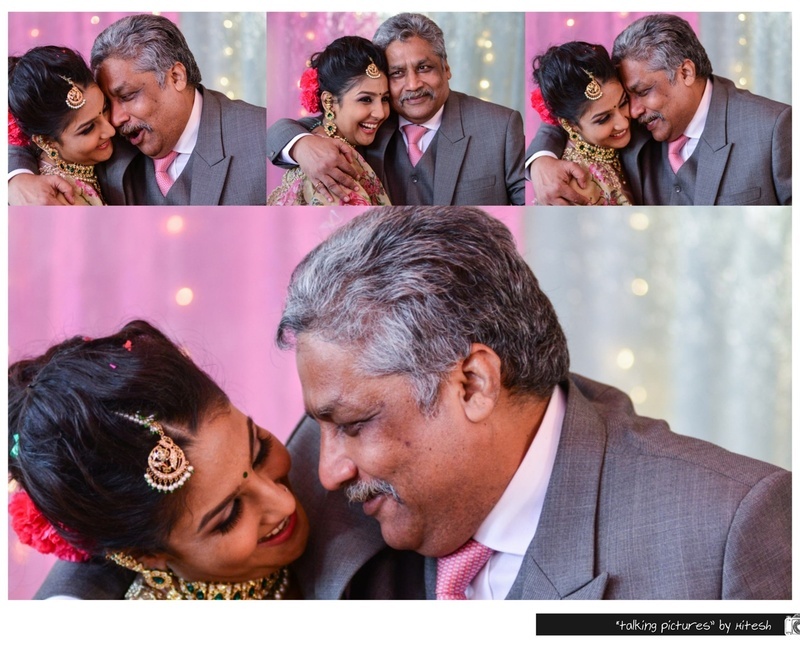 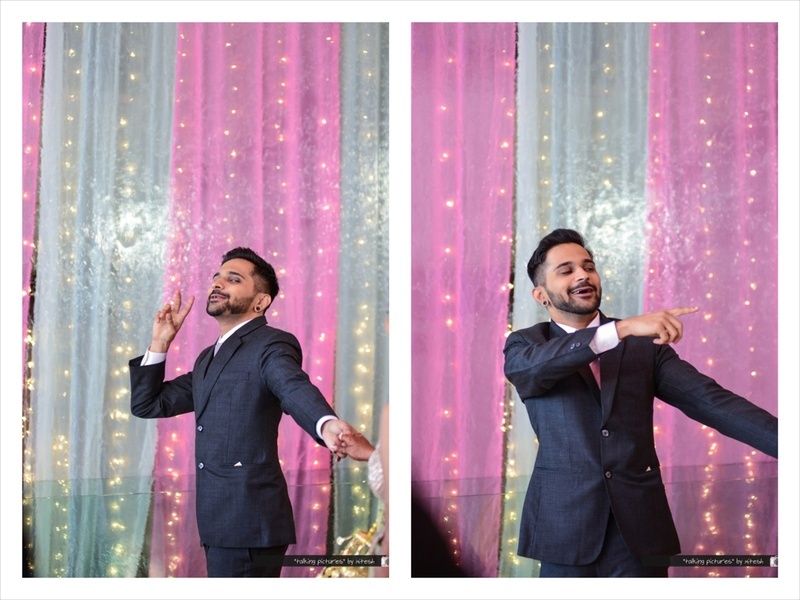 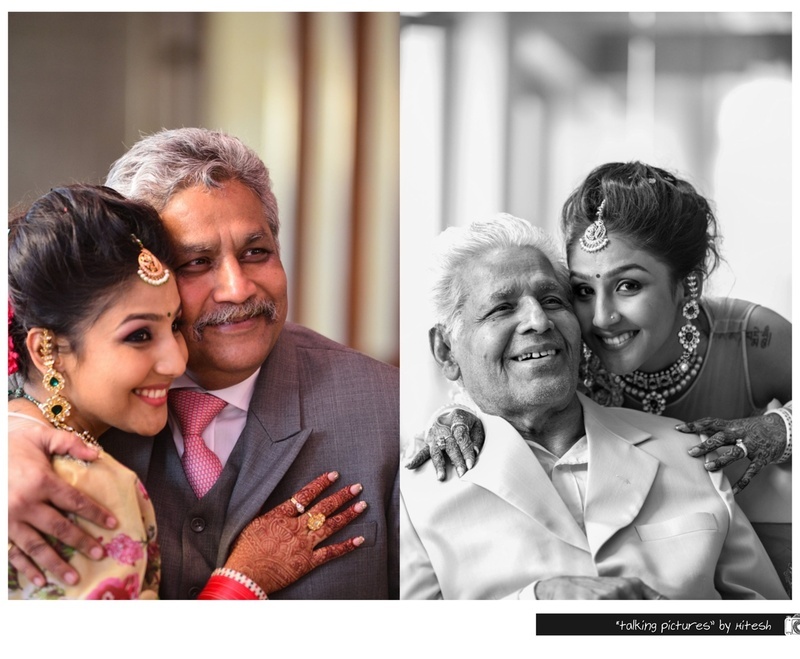 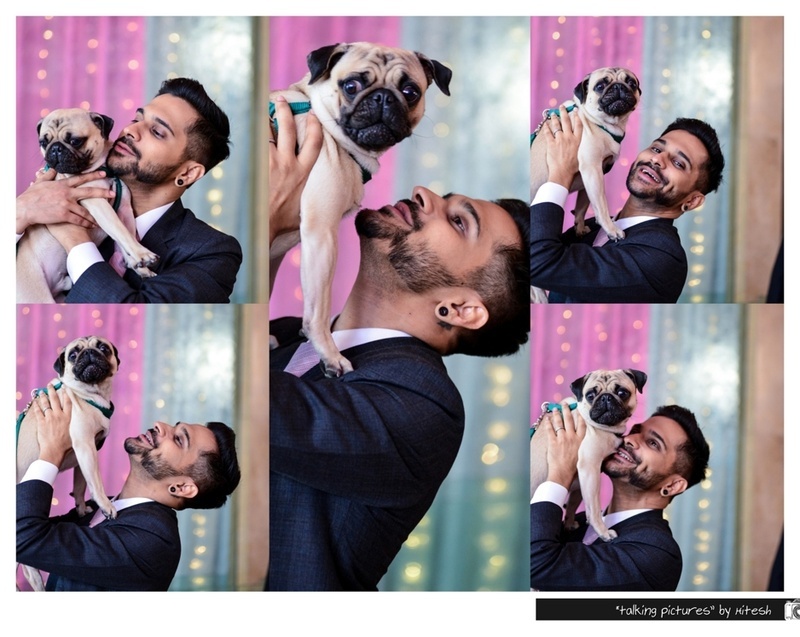 The adorable moments were captured beautifully by Talking Pictures by Hitesh. 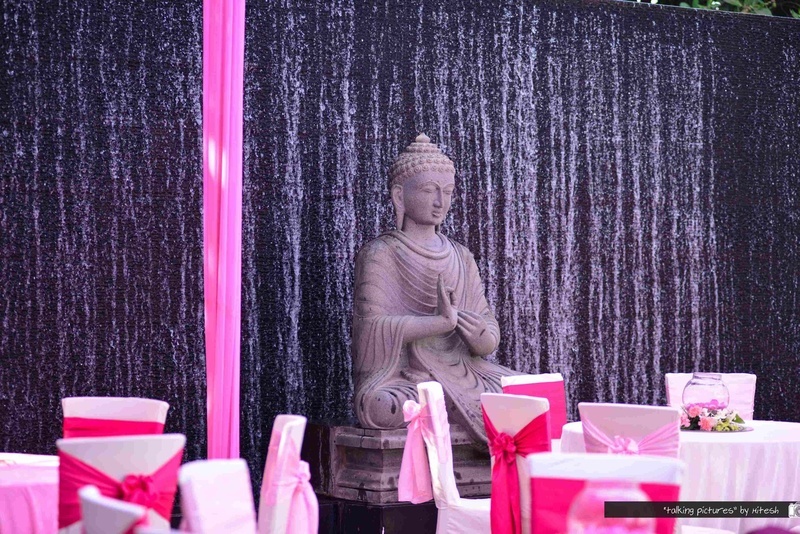 The pink decor added a light, pretty aura to the ambience. 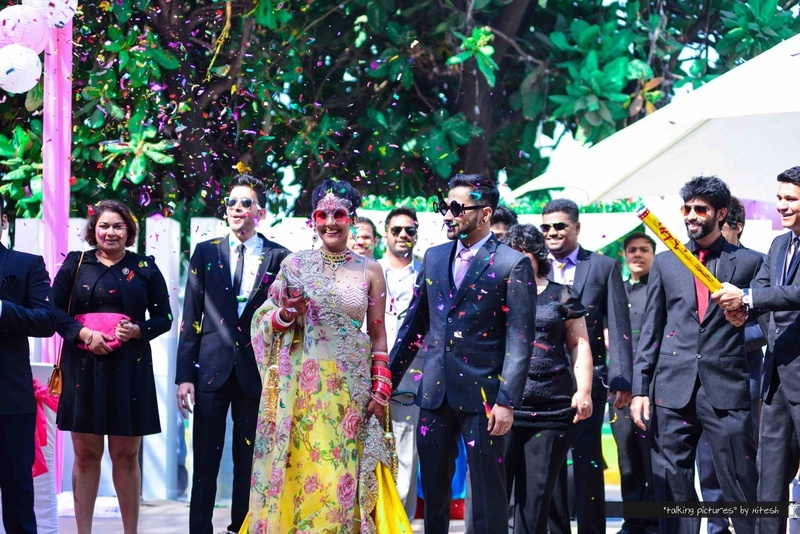 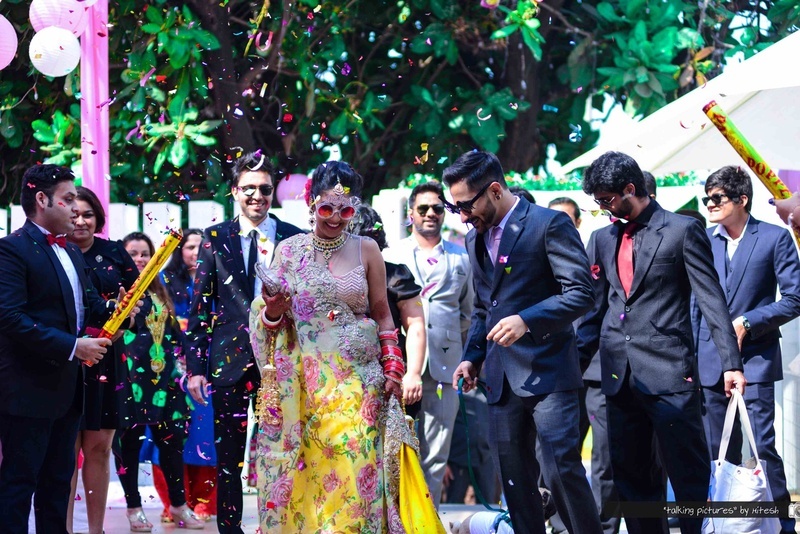 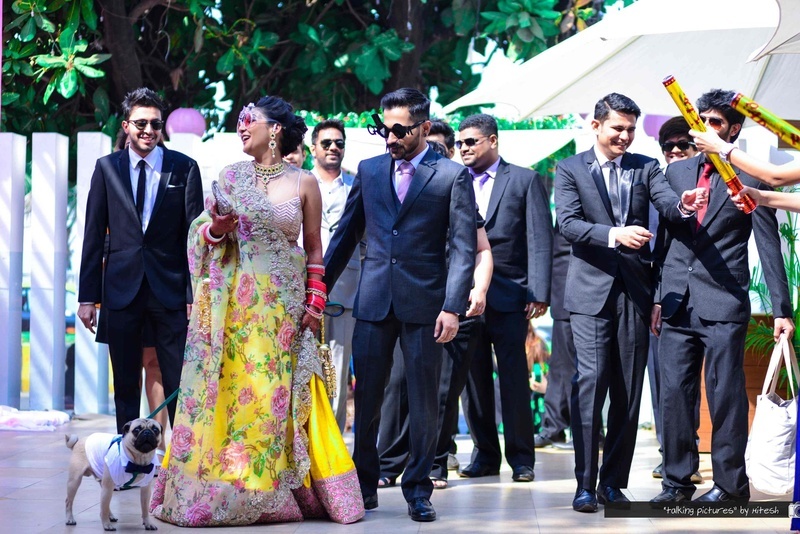 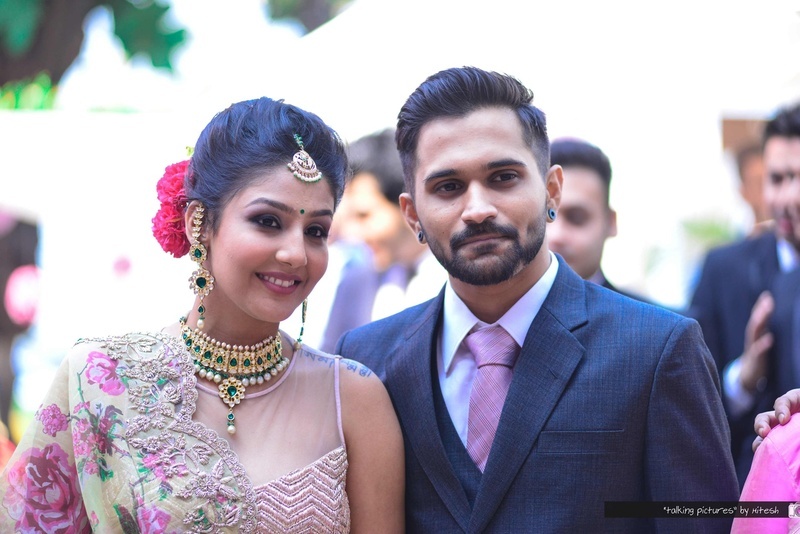 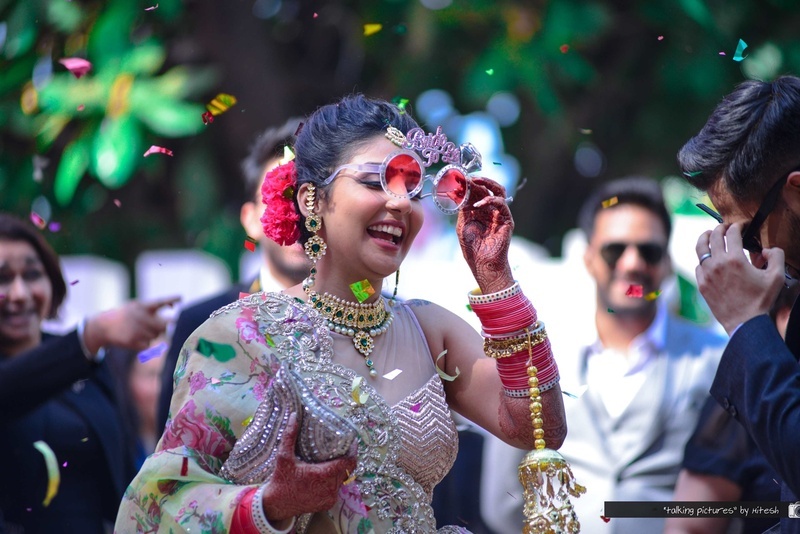 We loved Pallavi's yellow and pink floral printed lehenga and that stunning sheer dupatta that she paired it with. 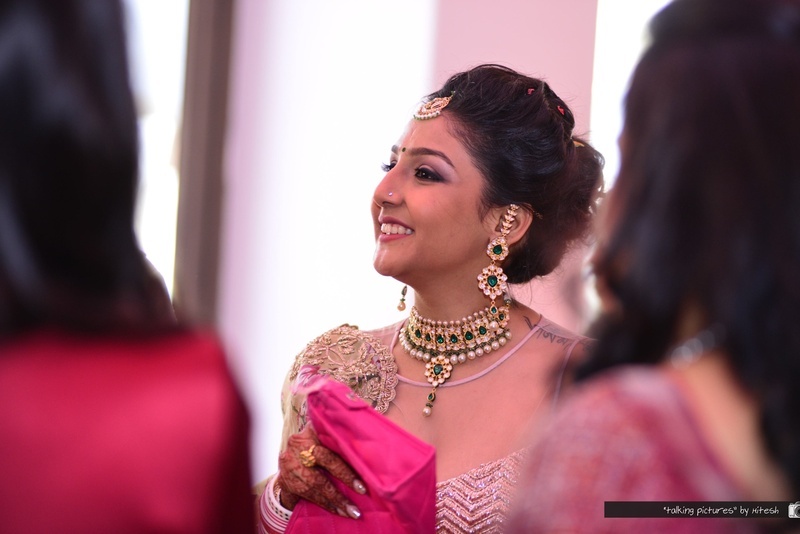 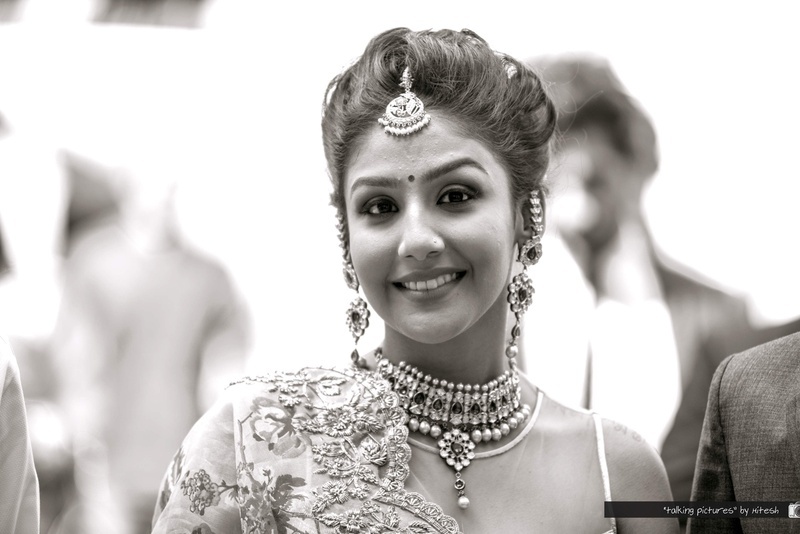 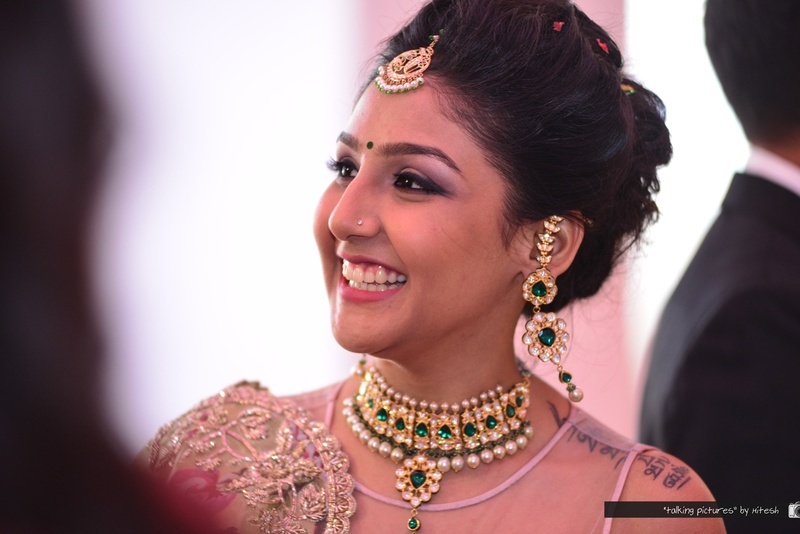 To top it all, she accessorized with a gorgeous emerald-pearl choker and earrings set. 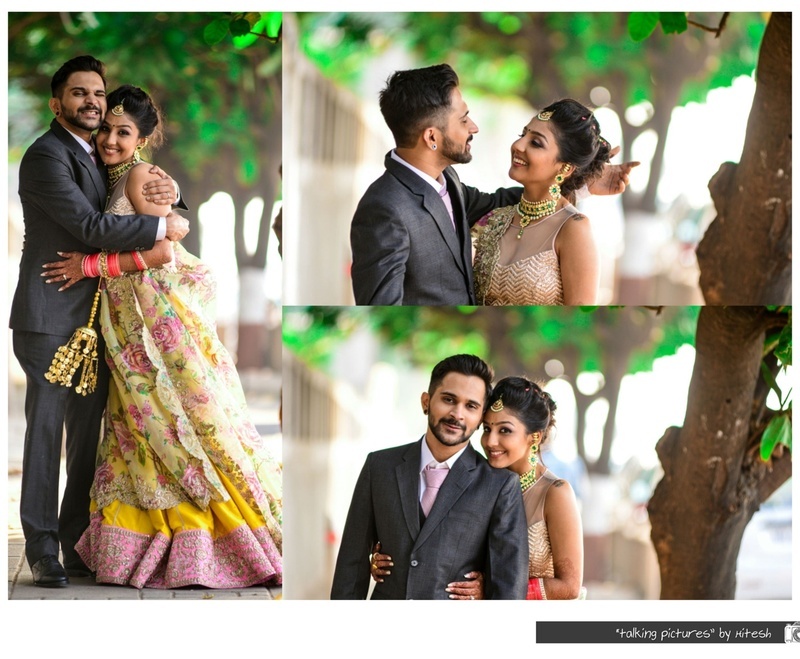 Scroll for more fabulous pictures!